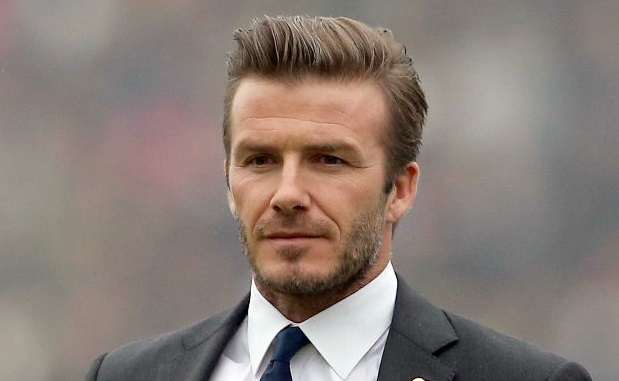 The former sportsman who doesn’t need any introduction in the world of football is none other than English athlete, David Beckham. The prolific goal-scorer played for several clubs including Manchester United, Real Madrid, Paris Saint-Germain, Preston North End and the National Team of England. He holds the reputation for being the first English player to win league titles in four countries. In 2013, he made an announcement for his retirement after 20 years of his successful and accomplished career. In 2004 he made it to the list of 100 greatest football players of the world issued by FIFA. On 2 May 1975, David Robert Joseph Beckham was born in Leytonstone, London, England, to Sandra Georgina and David Edward Alan. He received his early education from Chingford County High School and Chase Lane Primary School. As a child he used to play soccer at Ridgeway Park, Chingford. It was his childhood dream to play football professionally. His family loved football and Manchester United even more so. Beckham was enrolled in Bobby Charlton’s football schools in Manchester and secured the opportunity to participate in FC Barcelona’s training sessions. He also worked as a Manchester United Mascot. When played for a local youth team he was coached by father. In 1991, Beckham signed up as a trainee for Manchester United. The following year his team won the FA Youth Cup. In 1993, he registered himself as a professional soccer player. He played against Port Vale in a League Cup fixture with his team, making full season appearance. His UEFA Champions League debut was made in 1994, which his team won with a 4-0 score. He was loaned to Preston North End during 1994-95 season to get some first team experience. He impressed the co-players by scoring 2 goals in 5 games. Upon his return to Manchester, Beckham was finally inducted into Premiere League making his debut in 1995 playing against Leeds United. Beckham became the midfielder on the team, earning his team the Premier League title and FA Cup double. Despite his clean track record and continued outstanding performance, it was not until 1996 that he was allowed to play in England’s national team in Euro ’96. He acquired the number 10 shirt which is currently worn by Mark Hughes. In a match against Wimbledon, Beckham scored a spectacular goal which garnered him critical acclaim among sports critics and fans. During the 1996-97 season, his performance and popularity graph climbed by leaps and bounds. Soon he became the first-choice player of Manchester United, to help them secure the Premier League championship. In 1999 UEFA Champions League Final, Manchester united was losing game after Paul Scholes and Roy Keane were benched. It was Beckham who scored two victory goals from corner. Despite his growing popularity, Beckham faced criticism by fans critics due to making deliberate foul in Manchester United’s World Club Championship. The press accused his wife for being a bad influence on him and his game. Talks of his sellout surfaced only to be found groundless as he continued to play with Manchester United.